I see it time and again. When companies have to trim the budget, marketing is often the first to feel the cuts. History has a great way of teaching us lessons, though, so let’s take a look at why this kind of cutting can actually hurt your business. In the April 1927 issue of the Harvard Business Review, Roland S. Vaile published an article comparing companies that maintained their advertising spending during the 1923 recession to those that cut their budgets. He found that the biggest sales increases were recorded by companies that advertised the most. Vaile’s research has been repeated during just about every recession ever since, and the results are always the same: Companies that cut their budgets during a recession performed worse during that recession and also in the subsequent years of recovery. That’s why I zig when others zag. I don’t look at marketing as an expense. I don’t dial it back when my competition is cutting their marketing budgets. I view effective marketing, such as strategic storytelling connects with my target audience, as an investment that pays me back many times over. Remember, if times are tough, your customers are looking for places to cut, too. Many are going to start looking for cheaper options, or they may stop buying certain products or services altogether. That may include YOUR products or services. Take advantage of the opportunities that are created by your competitors’ cutbacks. As other companies slash their marketing, you can gain greater visibility and capture more market share. Don’t miss the opportunity to add real value through the helpful information and memorable stories that help answer your audience’s questions and position you as the expert who can help them. 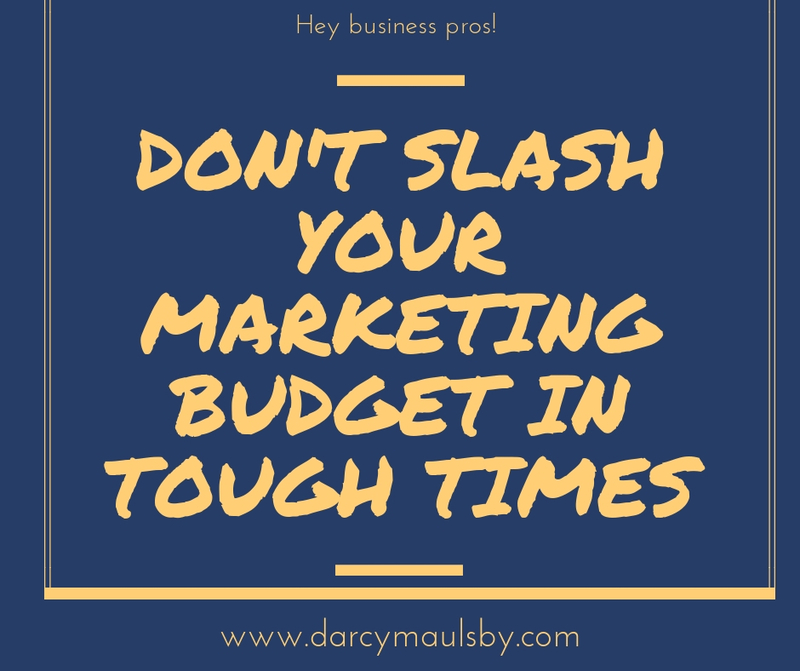 Just because profits are elusive in tough times doesn’t mean cutting your marketing budget blindly is a smart move. Stay the course. History’s on your side.